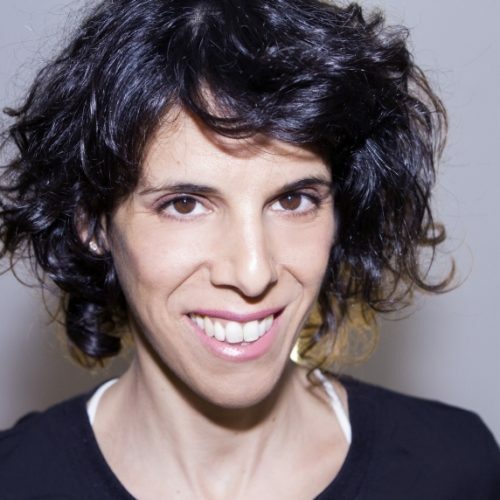 Inbal Lori is a graduate of Jerusalem art high school 1994 and Nisan Nativ acting studio (2000). Since then she has been writing and acting for television and theatre. She has won prices and scholarships for her acting and writing. She’s improvising since 2001 and performed in Tel Aviv with her group 3FALLING. In 2013 Inbal opened an improv school in Tel Aviv called “IMPRO TLV” with improviser Rod Ben Ze’ev. Since moving to Berlin, she is performing and teaching regularly all over Europe. "Just like life- impro requires contradictory abilities: The ability to be focused, and the ability to let go. To zoom in and zoom out. To find the details and tell the story. To lead! And still stay surprised. To hurry up, and slow down. These contradictory abilities are simply different ends of the same rope. The rope of focus, storytelling, cooperation, rhythm and more. I invite you to come and explore the balance, the place where you can choose to do what’s needed at the right time. Be a Ninja! You have inside of you the spectrum of each tool, now use the one most needed." "The workshop will explore the joy of finding truth in characters, and the ability to change in a believable way. We will do so by trying out different body languages, statuses, personal rhythms and psychological states. We will explore realistic characters along side with expressive and extreme ones. By using impro scenes and long forms, we will search the ways each character has to express it self while using its motivation, action, relationships and more." "Let's take risks. Let's be on the stage in groups of between 3 and 10 people at the same time. Let's see how we can find focus, harmony, beauty, narrative, statuses and much more in this situation that we are usually trying to avoid. I believe that seeing a bunch of improvisers finding the flow together is a powerful and unusual thing to see on an impro stage. I invite you to explore with me the power of a group. To find the difference notes in the harmony. To find the balance between leading and following. To enjoy the power and support of being on stage as a mass group. "